This page is a work in progress, and always will be. Below are some of the recent projects we've been involved in, more being added all the time. We worked with the Irish Times to create a piece of content highlighting their long standing commitment to Trust. We collaborated with Publicjobs.ie and Core Recruitment to create a video celebrating International Women’s Day. We followed the hilarious Gary Cooke as he journeyed to give up cigarettes once and for all. Working in partnership with News Ireland, Spark Foundry and the HSE, these videos were seeded across various platforms each week. We partnered with the teams in Lidl Ireland and Mediaworks to drive on the brand’s involvement in the 20x20 initiative with this print idea run over a number of INM titles. Working together with Focus Ireland and Leading Social, we produced and managed all the live action social video productions from multiple locations on the night, right across the country. In an evolution from the “Camogie Made Me” series, we profiled one of the most successful female football players of all time, Cora Staunton. Collaborating with our friends in JWT Folk and Liberty Insurance, we produced the content series "Camogie Made Me", showing how camogie has given to players both on and off the pitch, making them Ready for the Real World. Below is the first two instalments featuring the powerful Collette Dormer, brilliant Michaela Morkan, amazing Gemma O’Connor and legendary Mags D'Arcy. In collaboration with Core Recruitment, we produced a series of videos for the Construction Industry Federation, from thought pieces to a series of interviews with women in the construction industry. We linked in with the lovely folk in Irish Life Health to capture their energetic activation at Wellfest 2018 in the RHK. Have a look below. 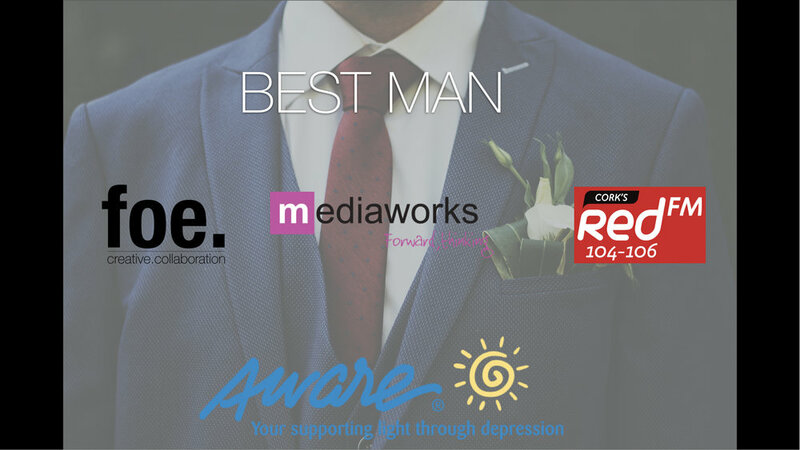 Working in collaboration with Mediaworks and Red FM, foe created a unique radio play to help combat the stigma associated with anxiety and depression, helping those suffering, of love ones of those, open up about their thoughts. Please listen below and share with your friends and family if it means something to you. Working with our friends in Liberty Insurance and Mediaworks, foe worked as the logistics and production partner, bringing their Squad Goals programme to life. Over the course of the summer, we found Ireland's most skilful camogie club, combining cross-platform media partnerships, experiential events and a final in Croke Park. foe provided all logistical support, while also producing AV content for use on TV, as sponsorship stings and social. With a prototype in hand, and a dream of mass production on the horizon, we worked with the exciting startup, GymJar, to create their fundraising video for KickStarter. Working with founder Sam McGuinness, we produced all of GymJar's media assets and visuals. foe had the honour of interviewing greats in Irish sport, Natalya Coyle and Fiona Coughlan on behalf of Liberty Insurance. We worked on the full production for these videos. As production partners for this project, we collaborated with Engage Communications and Lidl Ireland to shoot and produce their 2017 Graduate Recruitment video assets, for use on social and at fairs. foe was on hand to capture all the excitement from their exclusive Mr. Motivator event in Dublin City Centre. We created the video assets for Irish Life Health's use on social media after the event. If you want to work together, give us a shout.